Top Level Construction are a Groundworks company based in Crawley, West Sussex. The team are led by directors Garry McGovern and Daniel Hanley and we aim to deliver you the service you expect. 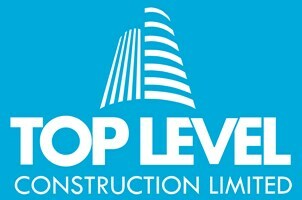 Whatever the scope, Top Level Construction Limited has the skill, expertise and knowledge to exceed your expectations. Groundworks: Foundation Solutions, Drainage, Attenuation Storage Tanks, Soak-away Systems and Sewer Tanks, Installation of Services, Hard & Soft Landscaping inclusive of kerbing, edging, all specifications of paving, brickwork, turfing. Demolition: Removal of existing building and structures, crushing and recycling materials, breaking up hard standings, RC slabs, foundations etc. Reinforced Concrete Structures: Reinforced Concrete Frames, Retaining Wall Structures, Underpinning and Basement Construction. Domestic Projects: Driveways including Resin Bound, Resin Bonded Surfaces and flexipave, block paving, tarmacadam, loose aggregate, patios, synthetic Grass, retaining structures and concrete bases, turfing & fencing. Utilities: Ducting, Trenching and Installation for new utility services - Water, Data etc) - we can liaise with local service providers on your behalf. Sewer Connections & Diversions: Foul and Storm Water Sewer Connections and Diversions. Our innovative projects consistently keep the competition on their toes. We specialise in residential and commercial construction. At Top Level Construction, we believe that your project should be carried out to meet your needs and expectations, we will be there with you at every stage of the process from initial contact, planning, construction phase, completion and aftercare. Top Level Construction Limited are flexible, innovative and deliver outstanding results every time. Our team of experienced builders can value engineer your projects to deliver cost-effective solutions for your personal project. You can Trust Top Level Construction to deliver your project on time, budget and to your expectation. West Sussex, Crawley, Horsham, East Grinstead, Lingfield and surrounding areas, Surrey, Purley, Coulsdon, Caterham, Epsom and surrounding areas, Kent, Westerham, Sevenoaks and surrounding areas.